One of the two cafes that we find open in Melbourne city on the Christmas Day! visiting on early morning and it's very packed- seems everyone is coming here to get a cup of coffee to kick off their Christmas holiday! arriving Melbourne and the first thing that we do was coming here for coffee before they close for Christmas! Flat white here is just AUD 4.3 (HKD $24!! )- got ourselves croissant and peanut butter chocolate cookie too. Oops, the croissant is too good that it's gone before shooting! A stylish coffee shop on Flinders Lane in CBD which always get so busy every mornings. Other than the great flat white, they also offered a wide variety of pastries and desserts! Don’t forget to look down and admire these pretty blue floor tiles. 15 minutes walk from the Victoria market brought us to seven seeds coffee roasters. Decent coffee with spacious settings inside. A lot of coffee beans to bring home too! By doctors order I should take coffee-a flat white to be exact! 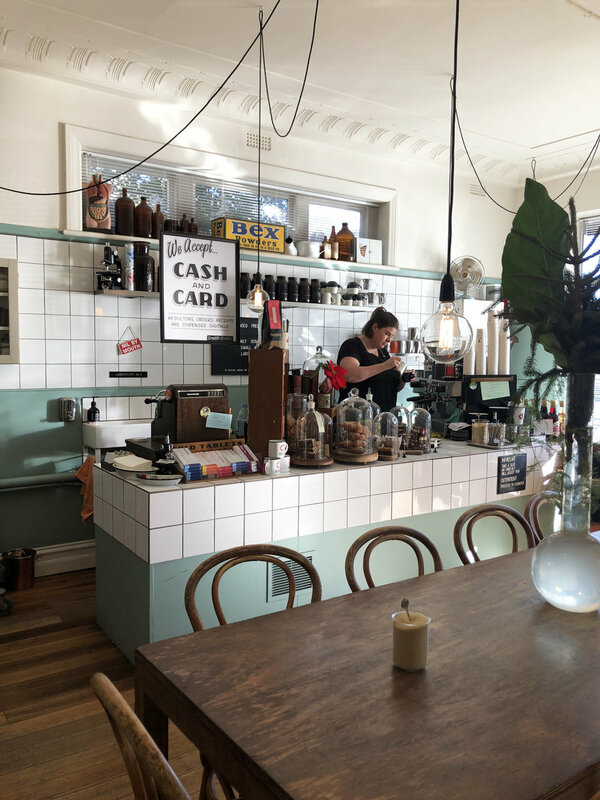 This very stylish and unique cafe is renovated from a former dispensary at St Kilda. Recommend visiting together with the St Kilda beach! A very very busy and small coffee shop along little bourke street. Hard for any photos inside but would really recommend its coffee! coming for the signature croissants here and we are not disappointed! The cafe is conveniently located inside the Central Shopping center where one of the tourist sightseeing look-up spot “Coop's Shot Tower“is located! 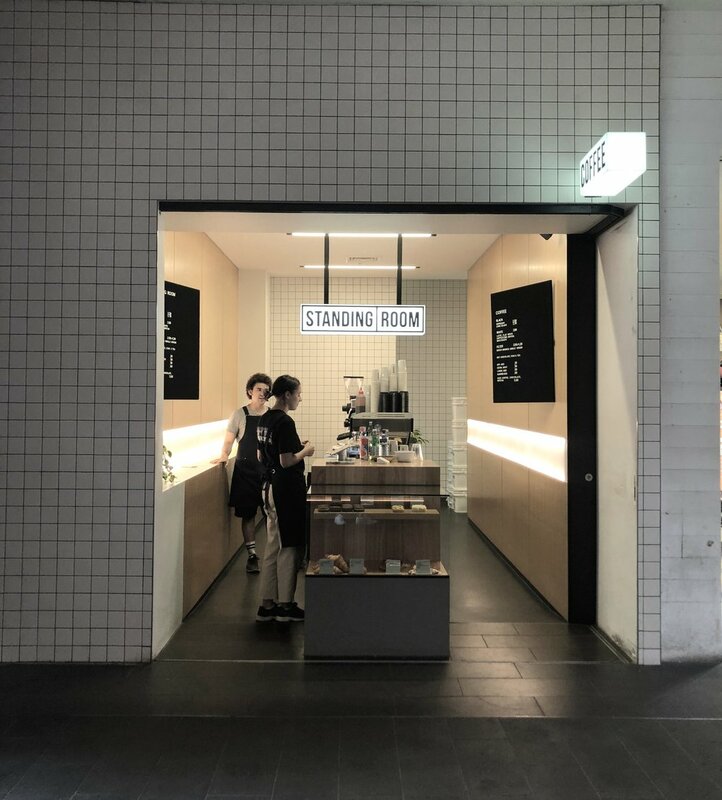 minimal coffee shop design at industry beans lt. Collins's right inside Melbourne's CBD area. A tiny but cosy space for all coffee lovers.